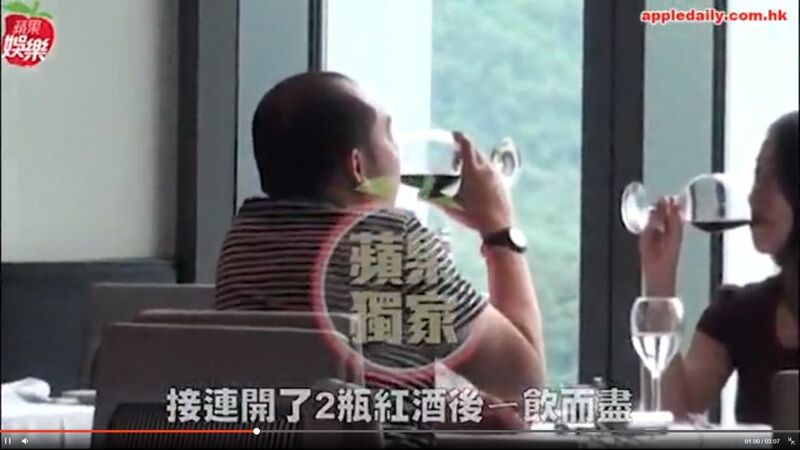 KUALA LUMPUR, July 6 — Datuk Seri Najib Razak’s son was spotted dining and drinking wine with an actress in Taiwan a day after his father was charged here over RM42 million from a former 1Malaysia Development Berhad (1MDB) unit, a news portal reported today. Taiwan’s Apple Daily claimed it witnessed Datuk Mohd Nazifuddin Mohd Najib dining and chatting last night with an actress identified as Celia Zhang, purportedly at a steak restaurant in the Breeze Xinyi mall near Taiwan capital’s iconic tower Taipei 101. The portal said the two were seen drinking glass after glass of red wine in a relaxed atmosphere during an allegedly mirthful meal that lasted three hours, claiming that two bottles of red wine were opened. It also said the duo were subsequently seen taking a taxi to a massage parlour, before having a candlelight dinner and spending two hours at a bar. 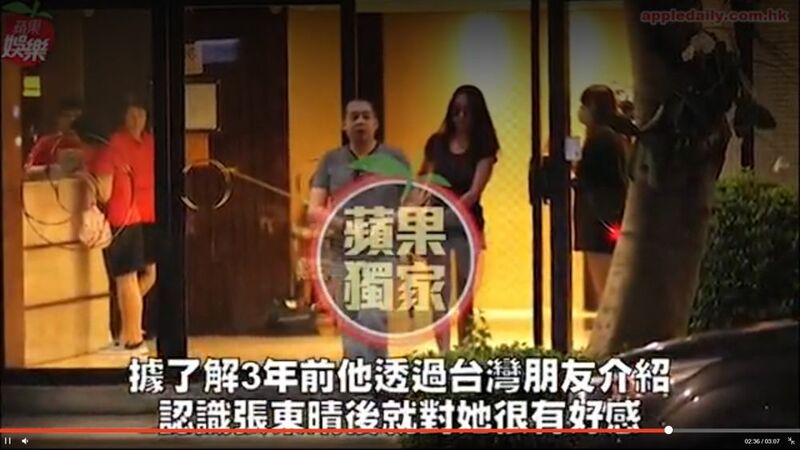 Apple Daily claimed that the two then took another taxi ride to the Grand Hyatt hotel at around 1am. According to Apple Daily, Nazifuddin wrote a Facebook post at 9.58pm the same night to back his father who was charged with corruption, noting that this allegedly took place while he was having a candlelight dinner with the actress. The Apple Daily report came with a video clip showing brief footage and photos of the duo together, also reporting that Nazifuddin was seen together with the actress after he alighted from the plane yesterday in his trip to Taiwan. When asked about their sighting at the Grand Hyatt hotel, the actress reportedly clarified that they only had more drinks there. “We only drank at the Grand Hyatt’s bar, his mood was not good because his family member was ill, after that he went up to rest and I then left,” she was quoted as saying. The actress indicated that they did not discuss the news about Najib, reportedly telling the portal that she and Najib’s son generally avoided politics due to the sensitive nature of the topic. Apple Daily said Nazifuddin returned this morning to Malaysia, also claiming that the former Umno president’s son was first introduced by friends in Taiwan three years ago to the actress. The newspaper claimed that the actress previously did not know of Nazifuddin’s status and background and had only started close communications with him recently after she became single again. In a separate report by Apple Daily, the actress is aged 34 and is a former model of Chinese-Vietnamese parentage who is now an actress and has been in the entertainment industry for four years. Nazifuddin had in a March 29, 2018 statement posted on his Facebook account announced that he was temporarily withdrawing himself from the political arena until he feels it is appropriate to be active in Umno again. Najib was charged on Wednesday in Kuala Lumpur with three counts of criminal breach of trust as a public servant and one count of abusing his position for self-gratification over ex-1MDB subsidiary SRC International Sdn Bhd’s RM42 million funds. He has pleaded not guilty to all charges that are each can be punished by a maximum 20-year jail term and fine, with CBT also punishable by whipping. He was released on bail of RM1 million that was paid in half, with the remaining RM500,000 due next Monday. Nazifuddin was seen along with Najib’s other children Norashman, Mohd Nizar, Nooryana Najwa and the latter two’s spouses on Wednesday in the courtroom when Najib was charged. A screengrab of a video clip from Apple Daily showing Nazifuddin with actress Celia Zhang.